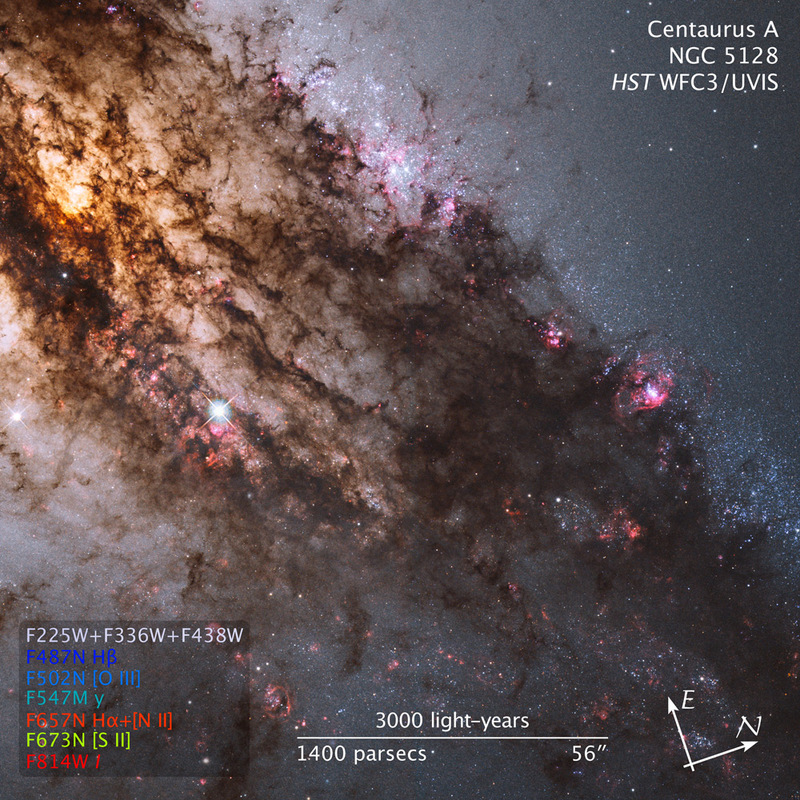 Scientists can take a new image of the galaxy Centaurus A using NASA’s Hubble Space Telescope (June 16, 2011), with the help of which they can reveals never before seen details of its. The image show features in the visible, ultraviolet and near-infrared spectrum.At a distance of just over 11 million light-years, Centaurus A contains the closest active galactic nucleus to Earth. Dust crosses the entire galaxy in a huge stripe, obscuring much of Centaurus A’ s heart in the visible range of the light spectrum.The galaxy’s compact nucleus contains a highly active supermassive black hole at its center.The new image also incorporates observations in ultraviolet and near-infrared wavelengths. This latter part of the electromagnetic spectrum allows astronomers to look in behind dusty cosmic curtains.